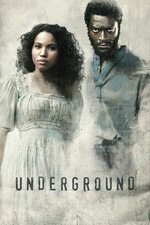 The runners find themselves thwarted at every turn while making a mad dash to catch a train heading north; the Macon slaves are questioned about their plans. I'd like to show this episode to everyone writing/producing for the CW under the heading "The Right Way To Kill Characters!" That a death can be shocking without being arbitrary and out of character seems to be a foreign concept to so many showrunners these days. As said in one of the Better Call Saul podcasts, there are writers who move the characters to fit the plot, and there are writers who create characters that tell their own story. This episode felt natural, in terms of the character's decisions.